If you were to look back through my inbox, the phrase that shows up over and over in my emails is Where does the time go? The days of our family having relaxing, casual evenings and weekends seem a thing of the past and I'm pretty sure that the years from when my husband and I slept in and had breakfast in bed are from a completely different lifetime. Suddenly I feel like each week is spent struggling to keep track of activities, appointments, errands, blogging, sports, trips, and more... leaving my brain feel like it is running on overload. With so much going on with all of us, I knew that I needed to improve on how I keep track of everything (pretty much all in my head) or else I was risking things falling by the wayside. 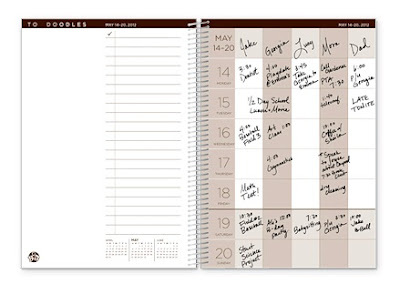 Fortunately, BusyBodyBook and their collection of organizers, planners, and calendars are just the thing for busy moms (and dads) everywhere to keep life under control. With a line of products designed to help every individual manage multiple activities at once, BusyBodyBook provides the clearest view of one's schedules and commitments to most reduce the hectic aspect of our lives. Who doesn't want that? 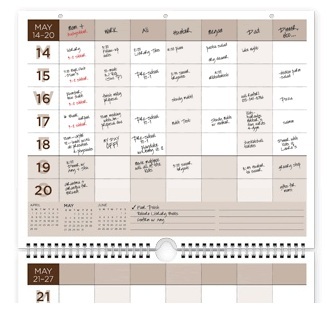 Considering that the award-winning BusyBodyBook GRID format has the ability to be customized to fit your needs perfectly while showing the agenda of the entire family in their own spacious column, I knew that the Personal and Family Calendar with the weekly GRID planner was just what I needed. And when the stylish Blueberry design arrived, I was ready and willing to get my life (and that of my family) organized. Available in calendar year or academic year options, the possibilities seem endless with this calendar. Right away I liked the bright, modern design and the durability of the sturdy pages and thick plastic front and back cover. It was easy to see that this was one tool that was made to hold up to an entire year's worth of being opened, closed, stuffed into a bag, yanked out of a pile, written on, and more. In the inside, there seemed to be just enough of everything that the user has plenty of space to write down information without it being cluttered. I love the way that there is room for each family member or area of your life and that when writing in anything from sporting events to work meetings to household chores, it only takes one glance to see if you have booked a playdate at the same time as a check-up with the dentist. I love the versatility of BusyBodyBook organizer, as the five columns can be used for family members, work deadlines, weight loss tracking, household chores, meal planning, and more. 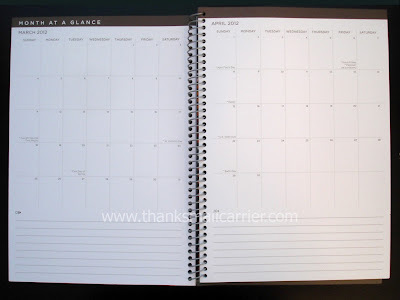 With a blank page on the left for notes and a to-do list, you can quite simply have the schedule and priorities that matter most to you right at hand. As well as the GRID columns, I appreciate how much thought went into making sure that this BusyBodyBook contains just about every feature that I look for in a planner. Or if you're someone who likes the small things such as a movable bookmark so that you never have to flip through page after page to find the current week, no worries! BusyBodyBook includes that as well. This organizer can do it all! I love being able to combine a desk calendar, a planner, and more all into one stylish place and have plenty of room for every aspect of my day. With the ability to get life in order for a single, working adult to a busy, stay-at-home-mom (to everyone in between), BusyBodyBook has the products that will work for you. Retailing for $17.95, the Family Organizer is just the thing to help you get life's craziness under control during the busy back to school time of year. 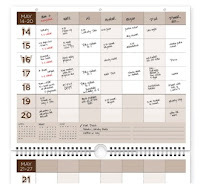 Also available from BusyBodyBook, the 7-Column Undated Weekly Grid Pad ($12.95) provides even more space and a magnetic backing so that you can always have it at hand on your refrigerator and their Wall Calendar ($14.95) makes it possible to see all of your family's information in one glance. One lucky person will win their choice of item from BusyBodyBook! To enter to win: Visit BusyBodyBook and tell me which of their innovative products you would choose if you win. 1 Extra Entry if you enter the BusyBodyBook giveaway at A Nut in a Nutshell! 1 Extra Entry (per method) if you follow BusyBodyBook on Twitter and/or Like them on Facebook. 2 Extra Entries if you have our Holiday Gift Guide button posted on your blog. Please leave an address where it can be found. Giveaway will end on December 5th at 11:59pm CST. By entering this sweepstakes, you are agreeing to these official rules. No purchase necessary, void where prohibited by law. Do me the favor of leaving an email address or making absolutely sure it is visible in your profile, I have to have a way to contact the winner. The winner will be chosen by random.org and announced here as well as emailed and will have 48 hours to contact me or respond to notification or a new winner will be chosen. The number of eligible entries received determines the odds of winning. This giveaway is open to residents of the U.S. only and must be 18 years of age or older. A big thank you to BusyBodyBook for providing a Blueberry organizer for me for review as well as the product of choice for three lucky giveaway winners. The opinions shared are my own and honest and if you really need to see more, click here to see how I roll. I like the wall calender. Both buttons are on my blog! 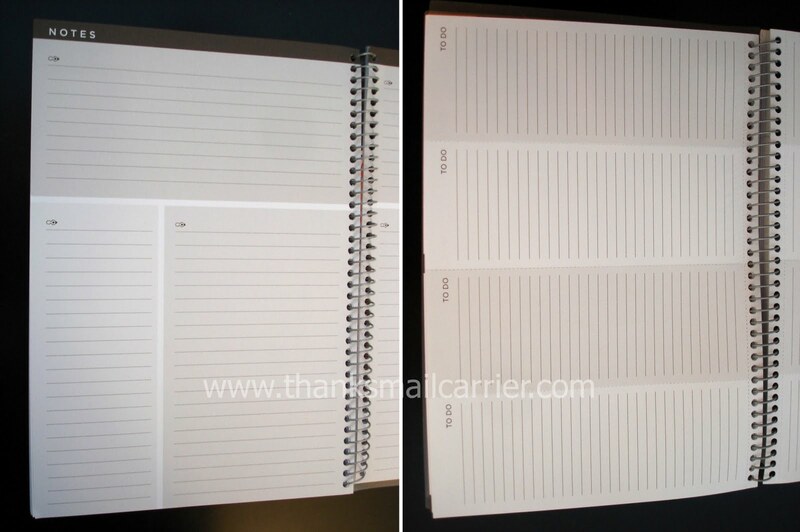 I definitely need the personal and family organizer! I entered the giveaway at Nut in a Nutshell. I like BusyBody on FB. I like the calendar in cherry. I entered at A Nut in a Nutshell. I entered the Custom Stamper giveaway. 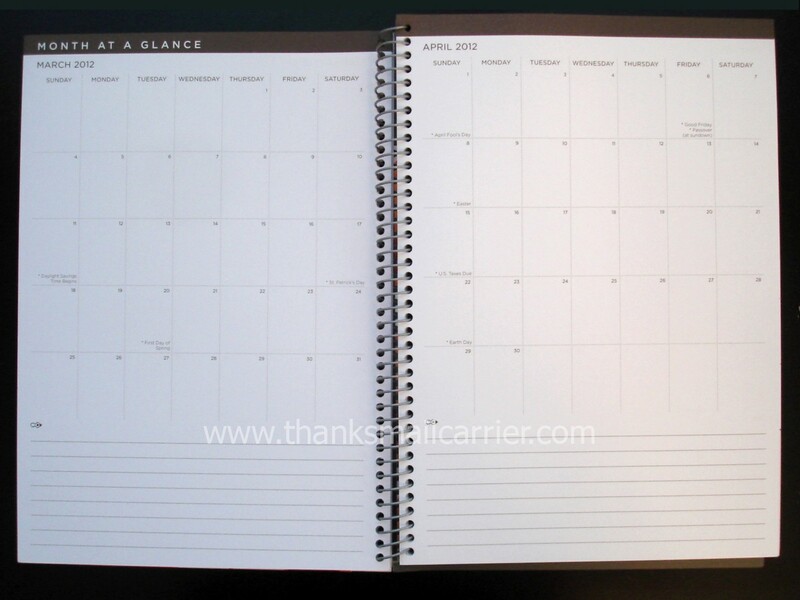 I like the Academic Cherry Aug 11 - Aug 12 Busybody Book Personal & Family Organizer! Thanks so much for the fantastic giveaway! 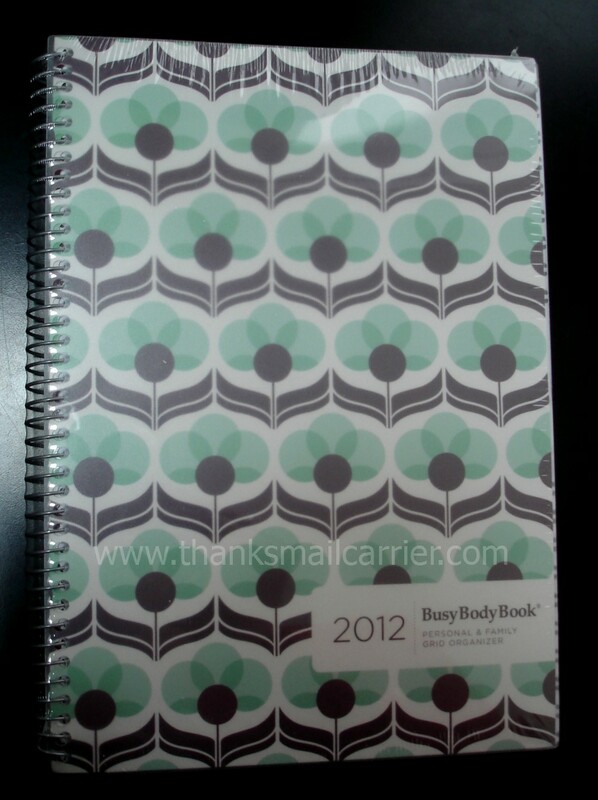 I like the 2012 RED LICORICE BUSYBODYBOOK PERSONAL & FAMILY ORGANIZER. I like the licorice personal and family organizer. I entered the BusyBodyBook giveaway on A Nut in a Nutshell. Following you on twitter as solitarydragon. The licorice organizer, PLEASE! I'd love it! :) Love the colors, too! I entered at Blueviolet's (nut in a nutshell) place, too! If I win I would choose the ACADEMIC CHOCOLATE AUG 11 - AUG 12 BUSYBODYBOOK PERSONAL & FAMILY ORGANIZER. I am retired now and seem busier than ever. This would be a great win for me. I entered the giveaway at A Nut in a Nutshell. I would pick the exact one that you got! Its so cute! 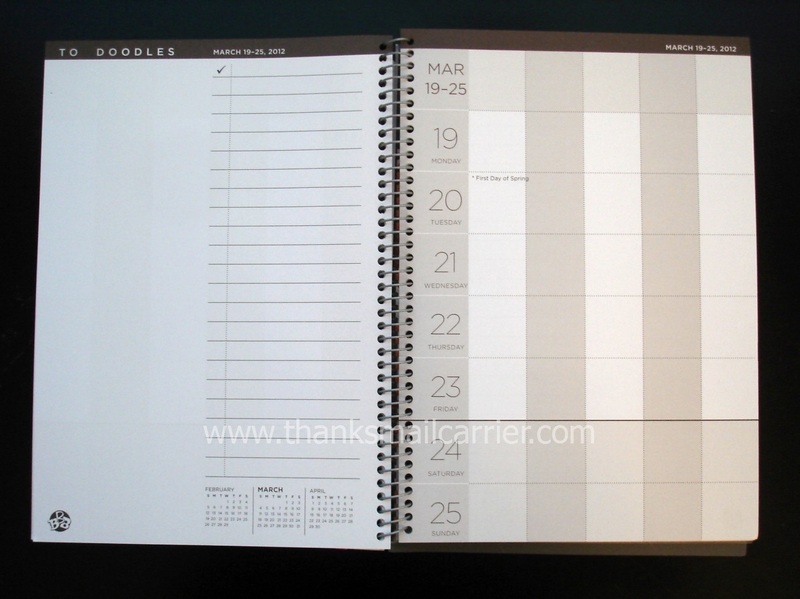 I'd get the blueberry 2012 planner. Thanks for hosting! subscribed rss feed via google! I like the wall calendar and the mini - Chocolate color. I like the Wall Calendar. i like the blueberry book! From Busy Body Books, I would choose the Licorice 2012 Calendar Year. I am following Busy Body Book on Twitter. I am a fan of Busy Body Book on Facebook. I am subscribed to receive your RSS Feeds using my Google Reader (dod@rogers.com). I would pick the personal organizer. I follow using RSS Feed. I would get the 7 Column Undated Weekly Grid Pad. I entered the Nautica giveaway. I entered the Guidecraft All In One Modern Kitchen giveaway. I entered the BlackFriday.info Amazon GC giveaway. I entered the Monopoly giveaway. I entered the Sumo Lounge Omni Beanbag giveaway. I entered the King Carousel Gumball machine giveaway. I entered the Anamalz giveaway.